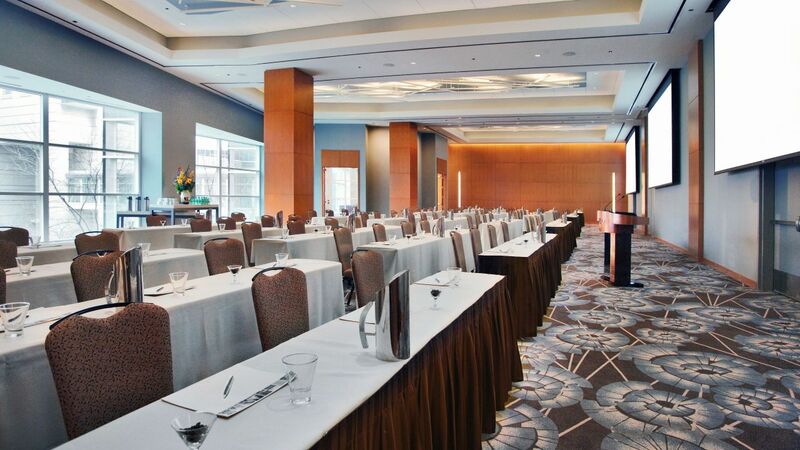 Create an impression in our cutting-edge meeting spaces and venues in Chicago’s convention destination. As the only hotel directly connected to the McCormick Place show floor, our spaces can be scaled to meet events of any size. 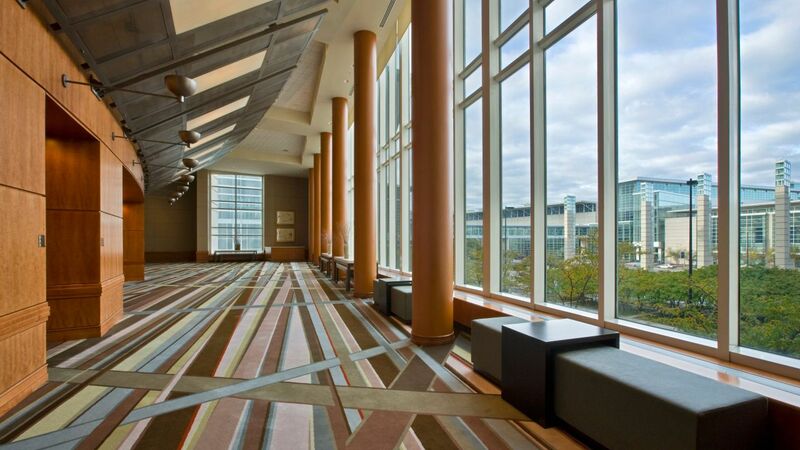 Expansive ballrooms, high-tech boardrooms, and plenty of meeting suites in between—all connected by corridors to McCormick Place. 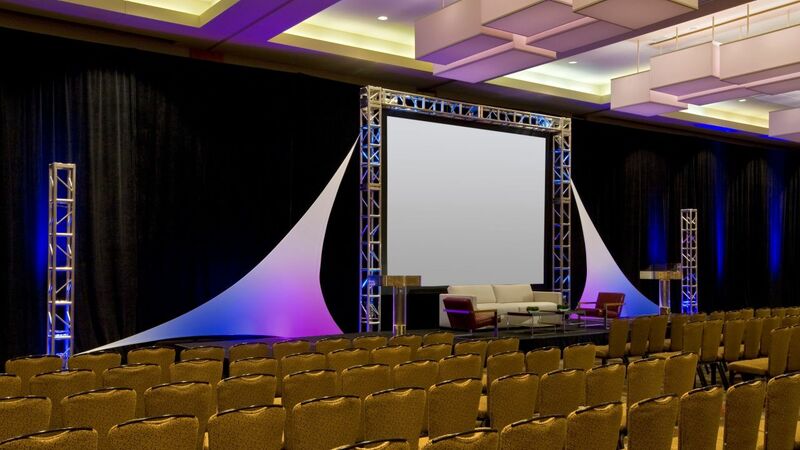 Bring your meetings to life at Hyatt Regency McCormick Place with the help of our specialized event planners. 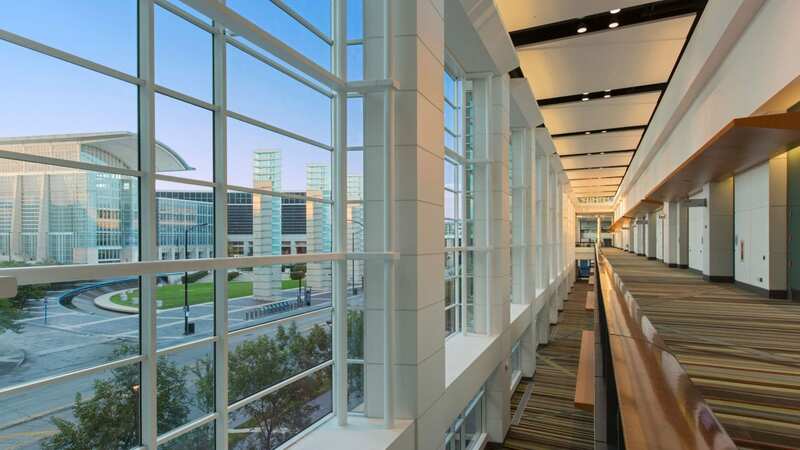 Connected to the hotel, the convention center offers 2.8 million square feet of exhibition space. World of Hyatt is built on the simple idea that a little understanding goes a long way. Listening to your goals, creating inspired experiences, surprising and delighting your guests—can make all the difference in hosting a successful meeting. Welcome to World of Hyatt! Connecting you to the people, tools, and offerings that ensure you are at your best—so your guests can be at their best. Offer is valid for each qualifying new meeting booked by December 31, 2017 and held by March 31, 2018. 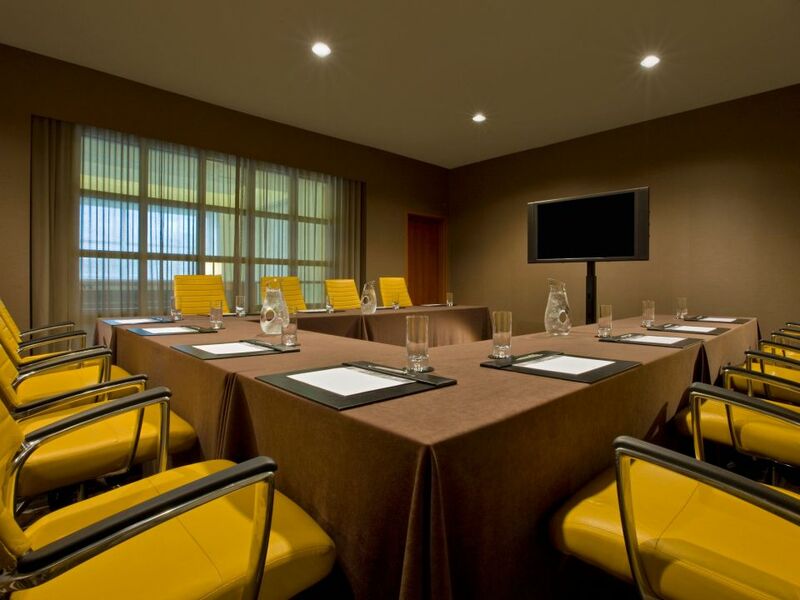 Meeting must consist of a minimum of 30 paid peak room nights at participating Park Hyatt, Andaz, Grand Hyatt, Hyatt Regency, Hyatt, Hyatt Centric, The Unbound Collection by Hyatt, Hyatt Ziva and Hyatt Zilara hotels; Or 25 paid peak room nights at participating Hyatt Place and Hyatt House hotels. Contact your Hyatt Sales Representative to learn more. Ask for over code PICK2. Offer valid for 2 rewards selections per qualifying meeting. Offer only valid for new bookings at participating Hyatt hotels and resorts booked by December 31, 2017, with all meetings completed by March 31, 2018. Must reference offer code PICK2 at time of booking to qualify. Offer not valid at Miraval Resorts or Hyatt Residence Club. Each qualifying meeting must consist of at least 30 paid peak night guestrooms at Park Hyatt, Andaz, Grand Hyatt, Hyatt Regency, Hyatt, Hyatt Centric, The Unbound Collection by Hyatt, Hyatt Ziva or Hyatt Zilara hotels, and for every 25 paid room nights at Hyatt Place or Hyatt House hotels. All reward options may not be available or offered at all hotels. Offer, function space and guestrooms subject to availability. Offer not valid in conjunction with citywide bookings, previously booked or held meetings or any other meeting promotion or offer. Planner may not earn World of Hyatt points in addition to this promotion. Participating hotels may be subject to change without notice. Offer applies to all eligible bookings, including bookings by travel agents and other qualifying third parties at a commissionable rate. Commission payment will be based on the group’s net room revenue (inclusive of any applicable credits or discounts, e.g., complimentary guestroom nights). Meeting planner is responsible for disclosing any benefits or rewards under this offer to the group. Certain rewards may not be available to meeting planners for certain groups, and Hyatt reserves the right to remove rewards that may benefit the meeting planner directly. Hyatt reserves the right to alter or withdraw this offer at any time without notice. Hyatt Hotels & Resorts® encompasses hotels and resorts managed, franchised or leased by subsidiaries and affiliates of Hyatt Hotels Corporation. Hyatt®, Hyatt Hotels & Resorts®, World of Hyatt™, Park Hyatt®, Andaz®, Grand Hyatt®, Hyatt Regency®, Hyatt Centric®, The Unbound Collection by Hyatt™, Hyatt Place®, Hyatt House®, Hyatt Ziva™, Hyatt Zilara™ and related marks are trademarks of Hyatt Corporation and/or its affiliates. ©2017 Hyatt Corporation. All rights reserved. Double World of Hyatt Bonus Points: If the planner is not currently a World of Hyatt member, they will need to enroll in the program to receive this reward. 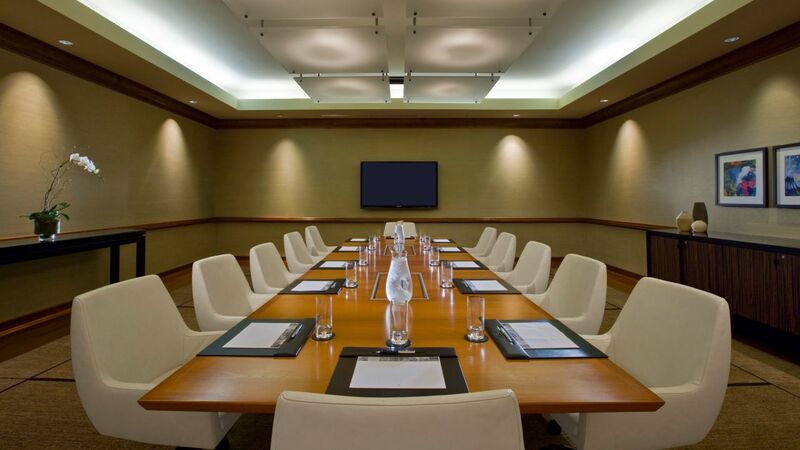 World of Hyatt reserves the right to revoke World of Hyatt Bonus Points in the event the meeting does not actualize. Discounted Standard WiFi Connectivity for Meeting Attendees: Final discount based on actualized peak room nights during a qualifying meeting at a: (i) Park Hyatt, Andaz, Grand Hyatt, Hyatt Regency, Hyatt, Hyatt Centric, The Unbound Collection by Hyatt, Hyatt Ziva or Hyatt Zilara hotel: 10% off for 30-100 room nights on peak, 15% off for 101 – 150 room nights on peak, 20% off for 151-200 room nights on peak, 25% off for 201+ room night on peak; or (ii) Hyatt Place or Hyatt House hotel: 10% off for 25 room nights on peak, 15% off for 26 - 50 room nights on peak, 20% off for 51+ room nights on peak. Based on standard listed price sheet with Hyatt A/V or Hyatt contracted vendor. Discount does not apply to labor, taxes or gratuities. Based on need, expectations and availability. Final terms to be decided by the hotel in its sole discretion. Discounted Food & Beverage: Final discount based on actualized peak room nights during a qualifying meeting at a: (i) Park Hyatt, Andaz, Grand Hyatt, Hyatt Regency, Hyatt, Hyatt Centric, The Unbound Collection by Hyatt, Hyatt Ziva or Hyatt Zilara hotel: 5% off for 30-100 room nights on peak, 7% off for 101-200 rooms nights on peak, 10% off for 201+ room nights on peak; or (ii) Hyatt Place or Hyatt House hotel: 5% off for 25 room nights on peak, 7% off for 26 - 50 rooms nights on peak, 10% off for 51+ room nights on peak. Discount does not apply to alcoholic beverages, outside catering, labor, taxes or gratuities. Based on need, expectations and availability. Final terms to be decided by the hotel in its sole discretion. One complimentary guestroom room for every 30 paid room nights at Park Hyatt, Andaz, Grand Hyatt, Hyatt Regency, Hyatt, Hyatt Centric, The Unbound Collection by Hyatt, Hyatt Ziva or Hyatt Zilara hotels, or for every 25 paid room nights at Hyatt Place and Hyatt House hotels: Gratis room should be run at a zero (0) rate and should be classified in the property management system under group room and not as complimentary. If the group is unable to identify the room(s) that should be gratis, a credit for the number of gratis rooms earned should be posted using the group room revenue code and not recorded as an allowance. Matched Points for third Party Planners: If the planner is not currently a World of Hyatt member, they will need to enroll in the program to receive this reward. World of Hyatt reserves the right to revoke World of Hyatt Bonus Points in the event the meeting does not actualize. Custom Offerings: Concession or value-add offered at each hotel’s discretion. Subject to availability.